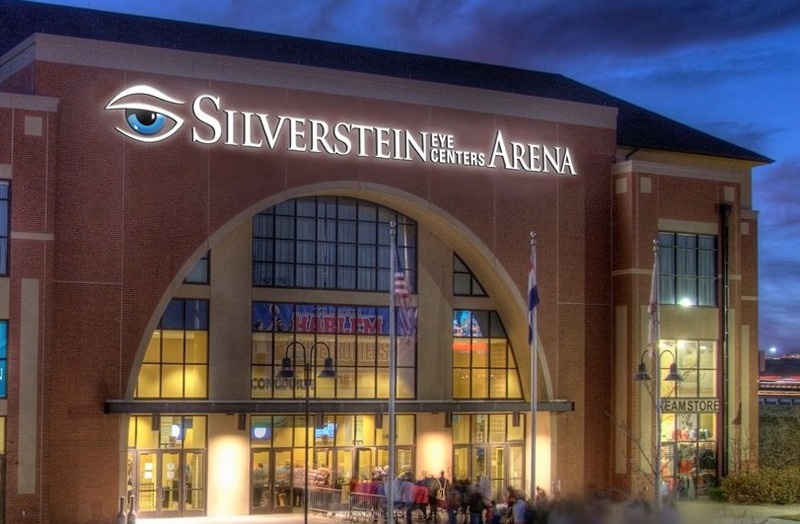 Daktronics has been selected to provide four new LED video displays to Silverstein Eye Centers Arena. This project will take place in two phases over the next 12 months to improve the overall fan experience at the venue, with new Wi-Fi, full-colour lighting and a new outdoor patio also being added. The City of Independence invested in the future of the venue with upgraded technology to attract more business and keep our current guests coming back for more. New Wi-Fi, new LED full-colour lighting, new high definition video boards and a new outdoor patio. Every event at the venue will have the latest technology available to make their fans/guests/sponsors/entertainers experience exciting. We are very excited about the new video boards and lighting. We believe this will enhance the fan experience at our games and all events at Silverstein Eye Centers Arena. We appreciate the City of Independence truly working to make this a first-class venue. Phase one of the project began in December and resulted in two new large video displays to replace the existing displays and provides more than double the existing display size on each side wall of the arena. Each of these displays measures approximately 8.5ft high by 35.5ft wide and features 6mm line spacing. In phase two of the project, two additional larger displays will be mounted above the seating sections at the ends of the arena in the spring of 2019, bringing an enhanced visual experience to event attendees. Each of these displays will measure approximately 12.5ft high by 72ft wide and will also feature 6mm line spacing. We are excited and humbled to once again partner with the City of Independence and Silverstein Eye Centers Arena for this monumental arena display enhancement project. We look forward to assisting the arena staff in providing a new look and heightened level of fan experience to everyone who enters their doors for an event. Daktronics industry-leading Show Control System is included with the installation to provide display control software, world-class video processing, data integration and playback hardware. This platform provides a user-friendly production solution for the arena. Silverstein Eye Centers Arena, located in Independence, Missouri, USA, is a 5,800-seat venue and is the premier entertainment destination of Eastern Jackson County. The arena is the proud home to the Kansas City Mavericks of the East Coast Hockey League (ECHL), the Kansas City Comets of the Major Arena Soccer League, the Kansas City Phantoms of the CIFL and has hosted a multitude of concerts by internationally recognised artists. Centerpoint Community Ice Rink has been the premier hub of the Kansas City skating and youth hockey communities in since opening in 2009. The facility plays host to numerous figure skating organisations, youth hockey programs and adult hockey programs while still offering learn-to-skate programming for adults and youths across the metro.